In Greece, radicalization leading to violent extremism and terrorism is mainly politically driven. In fact, the country has one of the most sustained political terrorism problems anywhere in the world. From the mid‐1970s to the present, political and socioeconomic institutions have been confronted by systematic terrorist violence, mainly at the hands of revolutionary guerrilla groups. 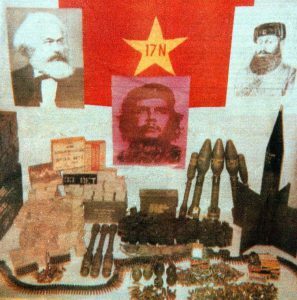 In the summer of 2002, some thought the long story of Greek terrorism had ended with the collapse of the country’s premier terrorist group and one of Europe’s longest‐running gangs, the notorious Revolutionary Organization 17 November (17N). However, rather than demoralizing and emasculating the country’s armed struggle movement, 17N’s dismantling and the imprisonment of its members led instead to the emergence of new urban guerrilla groups and an increase and intensification of revolutionary violence (Kassimeris, 2013). At the moment, the main threat is from the far-left and anarchist terrorist organizations. Their ranks are numerous and they are successful in radicalization and recruitment. Among them, the most important is the terrorist organization “Conspiracy of Fire Cells”, which has sent parcel bombs to European politicians. Another important organization is the activist / extremist group Rubicon (Ruviconas), which is responsible for a number of activist and extremist actions in recent years. Far-right extremism is also in the ascendant in Greece. In fact, from the turn of the decade onwards one can say there has been a big bang on this side of the spectrum. There have been a number of incidents, most notably attacks targeting immigrants, leftists and anarchists, and new groups have been formed. From 2010, a new phenomenon emerged – small groups of vigilantes on motorcycles carrying out a number of attacks. They are armed with sticks, chains and clubs and they usually “patrol” against immigrants. The far right has also escalated to bombing. 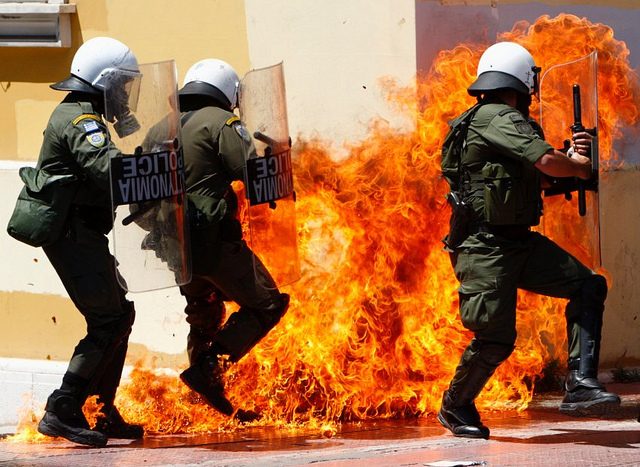 The Greek police arrested a number of members of the “Combat 18 Hellas” group, which has been involved in arson attacks and explosions. After so many years of trouble , it is no surprise to find that reciprocal radicalization and cumulative extremism are in play as well. In their ideological battles, far-left and far-right groups radicalize each other even further. Specific events, such as the murder of the rapper Paul Fyssas, make for especially strong drivers of this trend. Finally, Islamist radicalization is not the main concern in Greece but it is one of the major issues southern Europe faces at the regional level. At present, there is no extensive mobilization of the Muslim population in Greece but there are a number of risks and challenges which the country should manage in order to avoid the escalation of Islamist radicalization. The most important risks are the lack of integration among second and third generation migrants, the absence of a legitimate and credible representative body for the Muslim community, the unofficial mosques, the possible reactions to far-right and racist violence, links between youngsters and foreign radicals using Greece as a transit point, logistics hub, and an escape route to the EU for foreign fighters, and local polarization in hot spots such as refugee centers. During the period 2003-2008, the domestic terrorist scene was mainly dominated by the organizations “Revolutionary Struggle”, “Popular Revolutionary Act” and “People’s Will”. Among these groups, “Revolutionary Struggle” developed the most extensive activity, gradually escalating its attacks from planting I.E.D.s to damage buildings to remotely detonating I.E.D.s in attacks on human targets and finally to attacking police officers with firearms. The teenager Alexis Grigoropoulos was shot by a police officer on 06 December 2008. 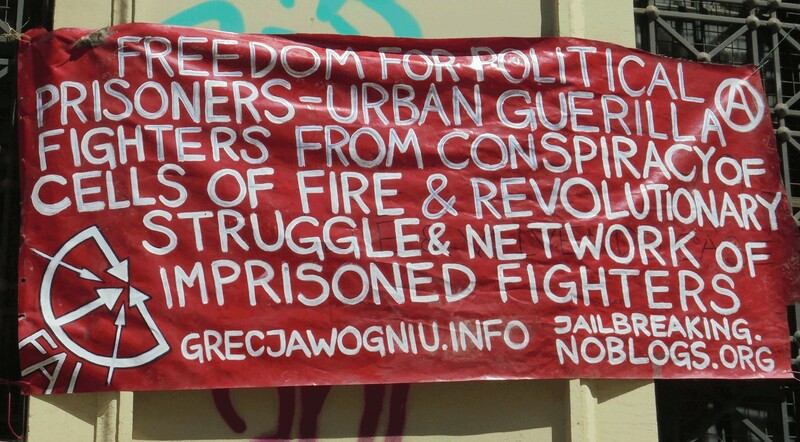 Among other consequences, this triggered a new wave of terrorist violence: “Revolutionary Struggle” attacked police officers using firearms twice, the “Sect of Revolutionaries’” and “Groups of Proletariat Popular Self-defense” groups appeared, also targeting police officers, and the group “Conspiracy of Fire Cells”, which until then had extensive activity and a growing presence as an anarchist/ extremist group, upgraded its activity, going from inflammatory to explosive devices. The members of the anarchist terrorist organizations Conspiracy of Fire Cells and Sect of Revolutionaries’ ideologically belong to the nihilistic and anti-social anarchism. They brutally reject the way that society works and choose to abstain from being part of it. They want to develop alternative social structures, to self-determine their way of life and to evolve out of the “masses”. Greece, and to a lesser extent Italy and Spain, are the only countries in the European Union still facing the threat of left-wing and anarchist violence, EUROPOL has said in its annual “Terrorism Situation and Trend” (TESAT) report. According to EUROPOL, “left-wing and anarchist terrorist groups and individuals continued to have enhanced operational capabilities and access to military-grade weapons” in Greece in 2017, during which a total of eight attacks were carried out (EUROPOL, 2018). Those eight attacks account for a third of a total of 24 attacks in the EU last year attributed to the left-wing – a downward shift after a sharp spike to 27 attacks in 2016 from 13 the year before. 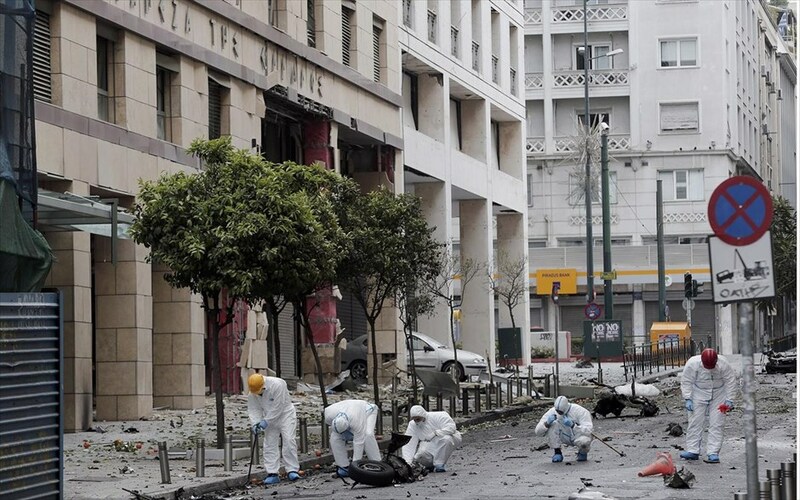 The Greek urban guerrilla group Conspiracy of the Cells of Fire was also behind a letter-bomb campaign against foreign targets in 2017 that resulted in the injury of an employee at the Paris office of the International Monetary Fund. Another explosive-packed parcel addressed to Germany’s then finance minister, Wolfgang Schaeuble, was intercepted in Berlin, Europol notes, while a similar parcel bomb was responsible for seriously injuring Greece’s former Prime Minister Lucas Papademos. Greece is probably the only European country with sustained political violence phenomena for more than five decades. The Civil War and the Military dictatorship are the main cultural traumatic events which are still fueling the evolution and the ideological claims of extremist and terrorist organizations. In the research of political violence in modern Greece, it is very important to assess the trigger events of each period (democratic transition, death of Grigoropoulos, austerity measures) and how they mobilize groups of people, with some of them finally becoming active members of violent organizations. Although we can’t argue about a linear process connecting the terrorist organizations of the first period, such as the Revolutionary Organisation 17th of November, and the active organizations of this period – Conspiracy of the Cells of Fire Revolutionary, Self-Defense Organization and Group of Popular Fighters, – we can identify linkages and in some cases cooperation. Also, another very important issue is the role of the imprisoned terrorists of the Revolutionary Organisation 17 November as charismatic figures and drivers of further radicalization of individuals or members of activist and extremist groups such as the Rubicon team. Once again, currently the main threat is coming from the anarchist- far left organizations, with Revolutionary Self-Defense Organization, Group of Popular Fighters and Conspiracy of the Cells of Fire the most active among them. Islamist radicalization is not the main problem in Greece at the moment, but there are a number of risks and challenges in this field. Finally, the situation in the far right spectrum is crucial in Greece, since it is fueling the risk of reciprocal extremism and violence. EUROPOL, (2018), EU Terrorism Situation and Trend Report, The Hague. Kassimeris G. (2013), ‘Greece: The Persistence of Political Terrorism’, International Affairs, Vol. 89, No. 1.